Researchers have named three previously undescribed, extremely small species of frogs from Madagascar Mini mum, Mini ature, and Mini scule. All of them belong to Mini, a genus that is entirely new to science. 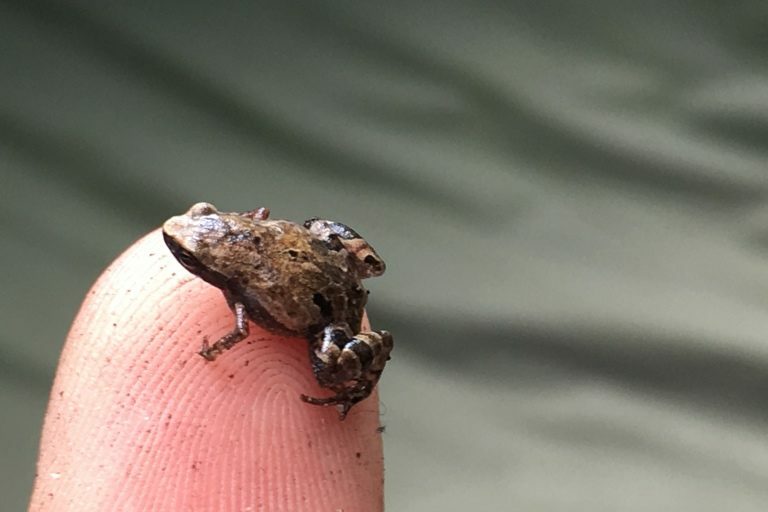 The new study describes two more species of tiny frogs, Rhombophryne proportionali, and Anodonthyla eximia, both smaller than thumbnails, just like the Minis. The newly described frogs from Madagascar are, however, known only from a handful of locations. While the researchers recommend placing three of the species in a threatened category of the IUCN Red List, two species are data deficient. The world of miniature frogs has five new members, all from the island nation of Madagascar and each smaller than your thumbnail. Referring to their miniaturized forms, herpetologists have named three of these species Mini mum, Mini ature and Mini scule. All of them belong to Mini, a genus that is entirely new to science. “Our new genus name, Mini, says it all. Adults of the two smallest species Mini mum and Mini scule, are 8-11 millimeter [0.31-0.43 inches] long, and even the largest member of the genus, Mini ature, at 15 millimeter [0.59 inches], could sit on your thumbnail with room to spare,” Mark D. Scherz, a Ph.D. candidate at Germany’s Ludwig Maximilian University of Munich and Technical University of Braunschweig and lead author of the new study published in PLoS ONE, said in a statement. An adult male Mini scule resting on a fingertip. Image by Sam Hyde Roberts. Scherz’s team described two more species of tiny frogs in the study, Rhombophryne proportionalis and Anodonthyla eximia, which are both around 11 to 12 millimeters (0.43 to 0.47 inches) in length. All five newly described species belong to the family, Microhylidae, commonly called the narrow-mouthed frogs. 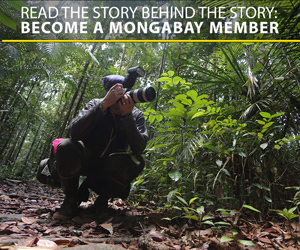 It’s a group that’s highly diverse and has several small-sized members. The family is also widespread, occurring on every continent except Antarctica and Europe. The new frogs from Madagascar, however, are known from just a handful of locations. Mini mum, for example, has been spotted so far only in Manombo Special Reserve in southeast Madagascar while Mini scule is known only from the fragmented forests of Sainte Luce Reserve. The areas in which the frogs occur are also likely small, threatened and declining, and the researchers recommend listing both species as critically endangered on the IUCN Red List. R. proportionalis, too, has so far been seen in just two localities within Tsaratanana National Park, and the researchers suggest listing it as endangered. 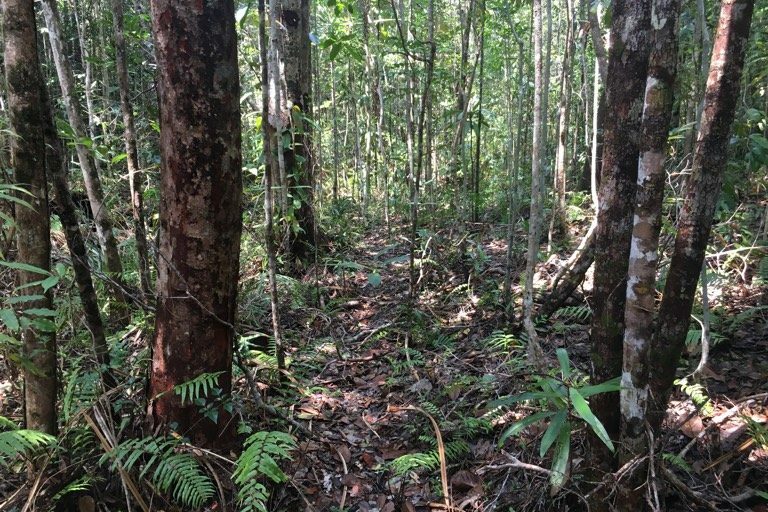 As for M. ature and A. eximia, the researchers say that both should be considered “data deficient” by the IUCN given the general lack of information on the species’ ecologies and natural histories. Lowland forest habitat of Mini scule in Sainte Luce Reserve. Image by Sam Hyde Roberts. Banner image shows an adult male Mini mum, one of the world’s smallest frogs, resting on a fingernail. Image by Andolalao Rakotoarison.